Are you ready for some fresh and light spring meals? 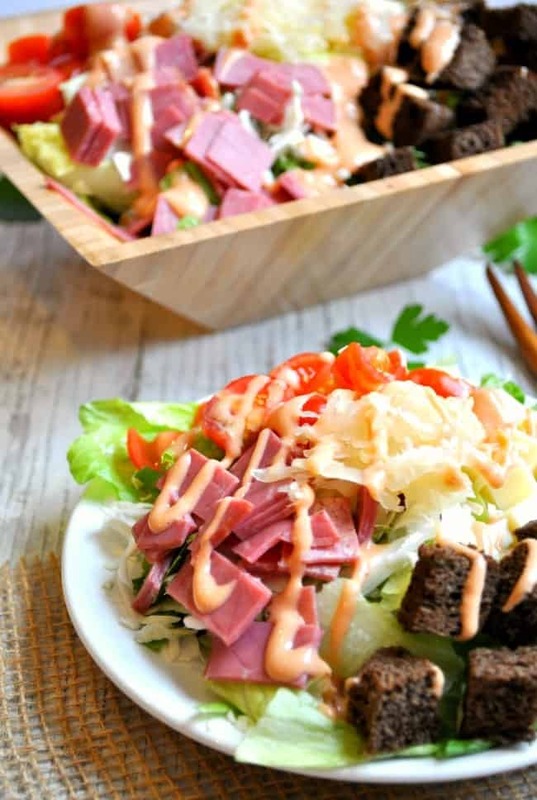 This fast, easy, and delicious Reuben Salad is like an Irish version of a classic Cobb Salad — just in time for St. Patrick’s Day! When I originally sat down at my computer to write this recipe before heading off to the grocery store, I first had a casserole in mind. After all, it was the end of February, snow was falling outside, and we were expecting subzero temperatures here in Virginia. Hot, baked comfort food was definitely on the brain! But as I started jotting down the ingredients for my “Reuben Casserole,” I realized that (1) sauerkraut and corned beef heated up and topped with breadcrumbs probably wouldn’t sound (or look) too appetizing; and (2) that the ingredients sounded more like a salad (Thousand Island dressing, tomatoes, chopped meat, diced cheese…). Plus, I’m definitely getting tired of the heavier casserole theme. I figure if I pretend that it’s spring in my kitchen, maybe Mother Nature will catch on?! RIGHT?! This salad turned out perfectly! 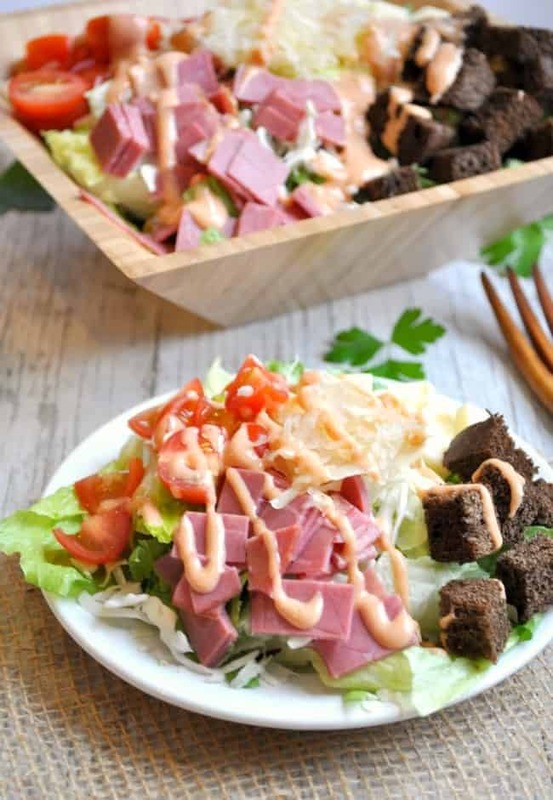 It has all of the components of a delicious Reuben sandwich: sauerkraut, bread, Swiss cheese, corned beef, tomatoes, and Thousand Island dressing…but with none of the grilling and a lot less carbs! I also love the variety of textures in this dish. It makes for a very satisfying main course! With St. Patrick’s Day right around the corner, I think that it’s fun to celebrate our family’s Irish roots. 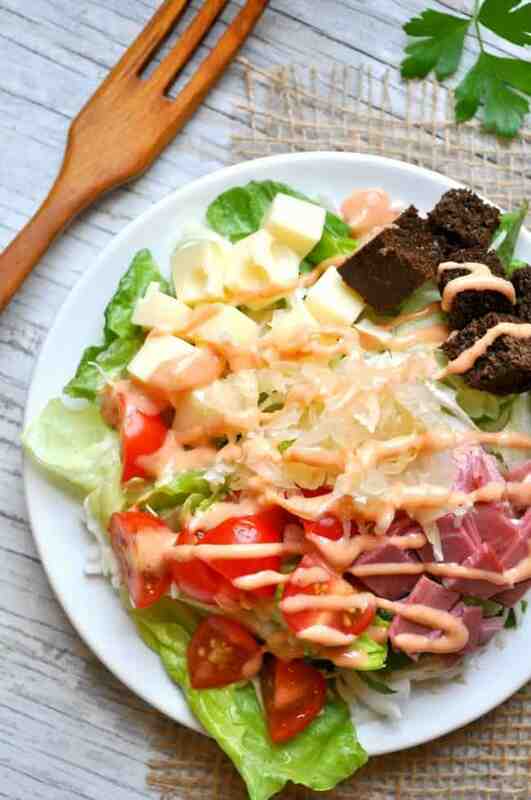 I will be serving this tasty Irish-themed salad alongside a hot, piping bowl of soup…just in case it’s still cold outside! Stay tuned in the coming week for my Irish twist on a classic SOUP recipe this time. Plus, I’ve got a fun (and easy!) St. Patty’s Day game for the kids as well. 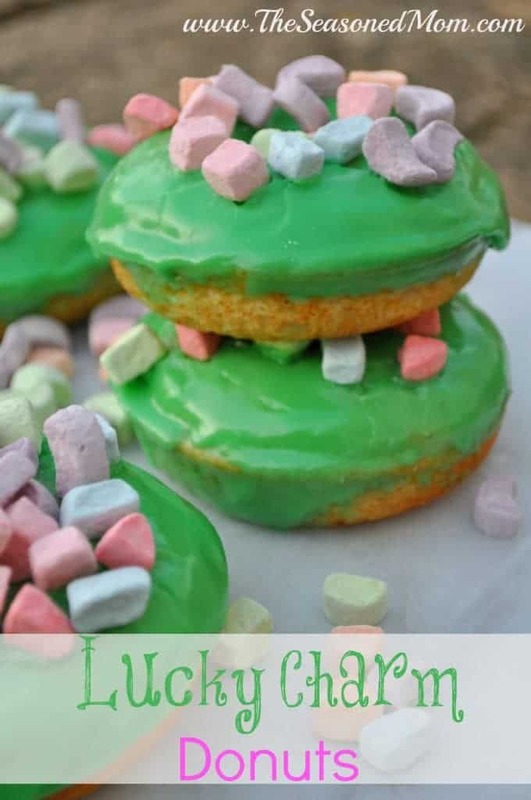 We’re all about the leprechauns, the rainbows, and the pots-o-gold right now! 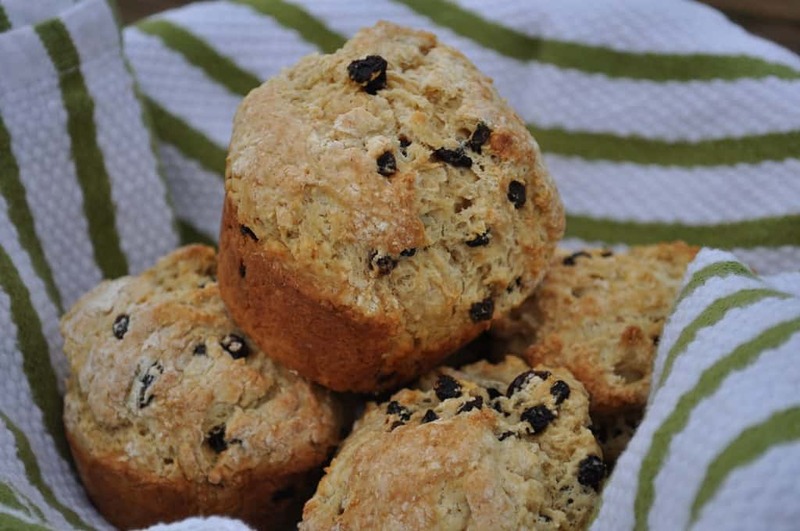 Oh, and don’t forget to bake up a batch of my Irish Soda Bread Muffins. It’s an ancient recipe and those photos are terrible (c’mon cut me some slack! ), but the muffins are SO good, and they will be the perfect companion for this salad…Unless, of course, you’re trying to watch your carbs! In a large bowl, toss together romaine and shredded cabbage. Note: To make your own croutons, coat cubed bread in approximately 2 tablespoons melted butter. Season with salt and pepper, to taste. Toast on a baking sheet at 350 degrees F for about 5 minutes. Stopping over from “The Makers”… this salad is beautiful. 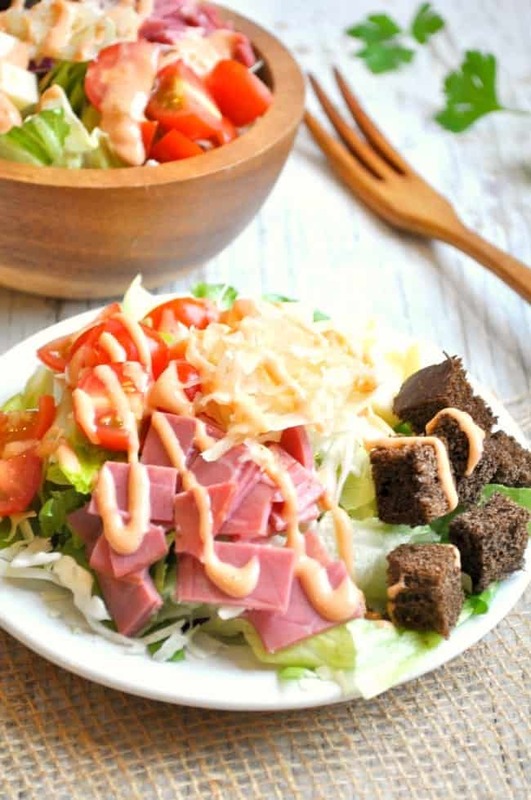 I love reuben’s but never thought about turning it into a salad… it makes perfect sense! Pinned! 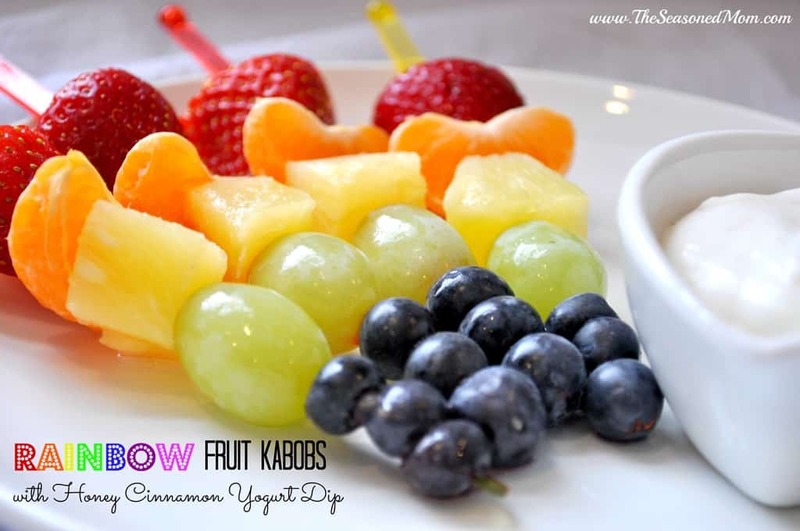 Great alternative to the sandwich! Thanks for linking up at Best of the Weekend! I loved this salad! It looks easy, and awesome! 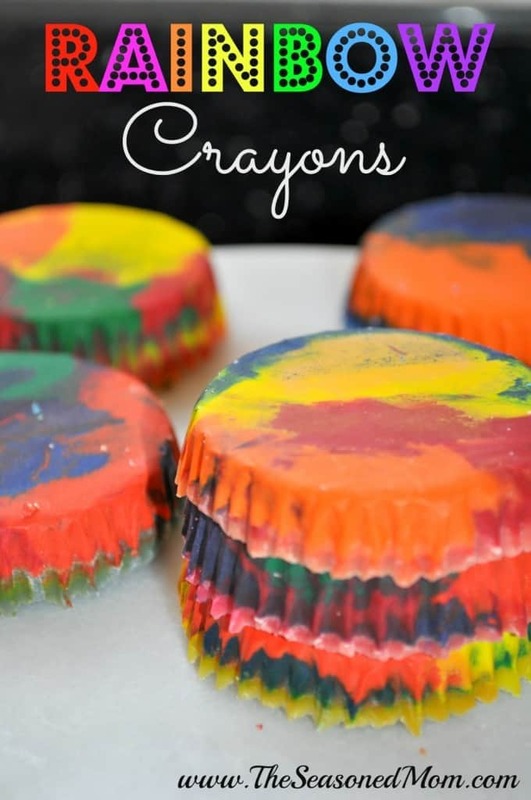 I selected your post for my #FoodieFriDIY feature this week. 🙂 Have a great weekend! Yes! 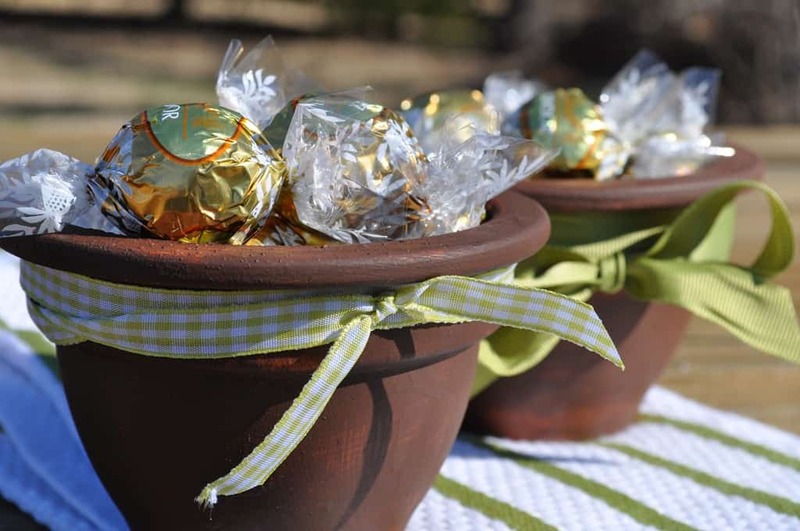 I am so ready for spring food! 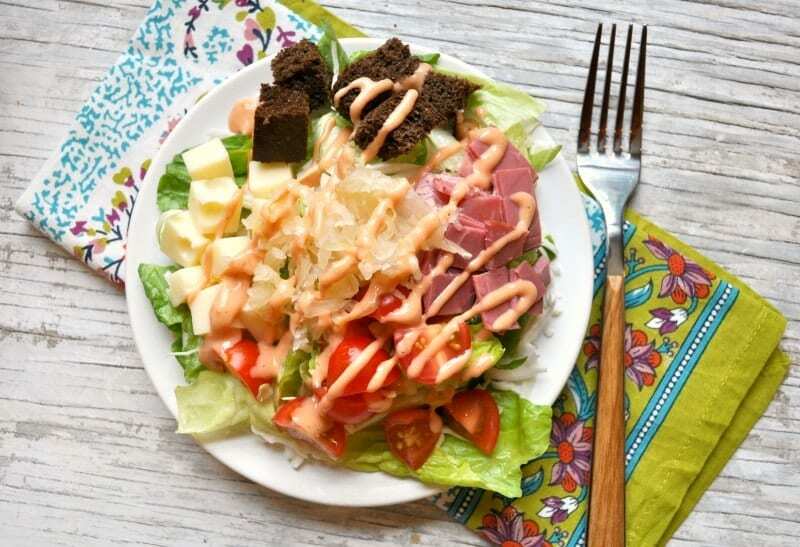 This salad looks quite inviting.We are so glad you shared with us at Merry Monday! We can’t wait to see your creativity next week! What an excellent idea! 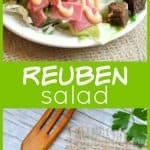 This salad looks so delicious and heathy and I am looking forward to trying it a we love Rueben anything! One can never have to many salad ideas and this is a real winner in my book. Thanks so much!